Mike Haag and his father oversee the employees, monitor the crops and set the daily farm schedule. His wife manages the feed mill and livestock records. His brother-in-law tends to the pigs. His mother maintains the financial books. And even the kids help with chores at Haag Farms Inc. But don’t let the “Inc.” that follows Haag Farms trigger a stereotype. 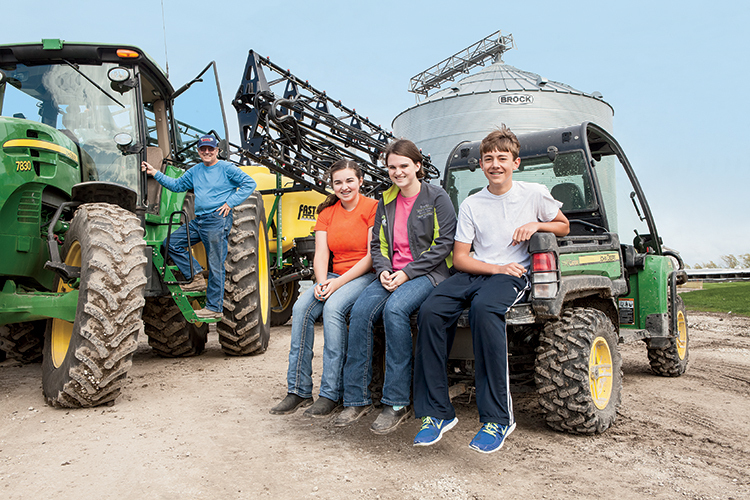 This business remains a family farm to the core, from ownership to daily chores. Incorporation simply provides the legal means to financially manage and move this farm to future generations. In reality, families own an overwhelming 86.5 percent of Illinois farms, according to the most recent census conducted by the U.S. Department of Agriculture. Yet, a statewide poll of Illinois consumers reveals the public falsely believes families own fewer than half. Dewey and his wife, Marie, the farm’s third generation, incorporated the farm business in the mid-1970s. At the time, the structure made sense as the farm looked at its current growth and future transitions. The farm now celebrates more than 100 years in Marie’s family. Together, the Haag family and their employees care for about 1,200 sows, or mother pigs, in a farrow-to-finish operation. In other words, the family raises about 24,000 pigs per year from birth to market weight of 280 pounds. The Haags also grow 1,800 acres of corn and soybeans. A few sheep graze the farm as 4-H projects for the kids. They feed most of the corn to the pigs. In turn, the family applies the manure to its fields to fertilize the next crop and bring life full circle. The Haags farm near Emington about 85 miles south of Chicago. While they spend days at work together, they enjoy downtime as a family, too. During the winter, the Haags meet for a homemade Sunday brunch after church. They also gather for birthdays and special occasions and always get together at the holidays. 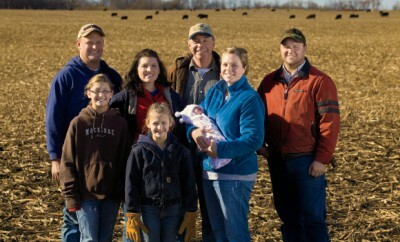 The entire family lives within a 12-mile radius of the farm. Mike, Trisha and their three kids live on the main farm. Dewey and Marie live one mile up the road. Jeff, Christine and their two kids live about 12 miles away and also farm with Jeff’s family. The farm’s focus remains family, business and community, Dewey says. Often, the farm’s actions cross all three simultaneously. 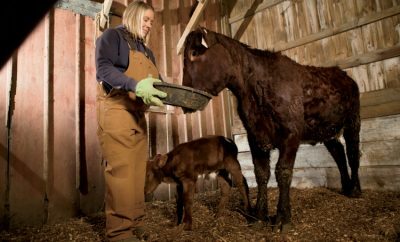 Protecting the environment remains a top priority for the family farm. The Haag family adopted minimum tillage techniques, which preserves soil in their fields. They follow a comprehensive plan to carefully manage the farm’s nutrients. They inject manure fertilizer directly into the soil to prevent runoff. They also use a dragline application system, which pumps manure from storage to application equipment to reduce soil compaction. Dewey and his grandchildren demonstrated this system to participants of a tour that featured soil and water conservation practices. “Like most farmers, our goal is to produce food and raise a family on this land and leave it in better shape for my kids to do the same,” Mike says. The Haags share the same approach to animal care. 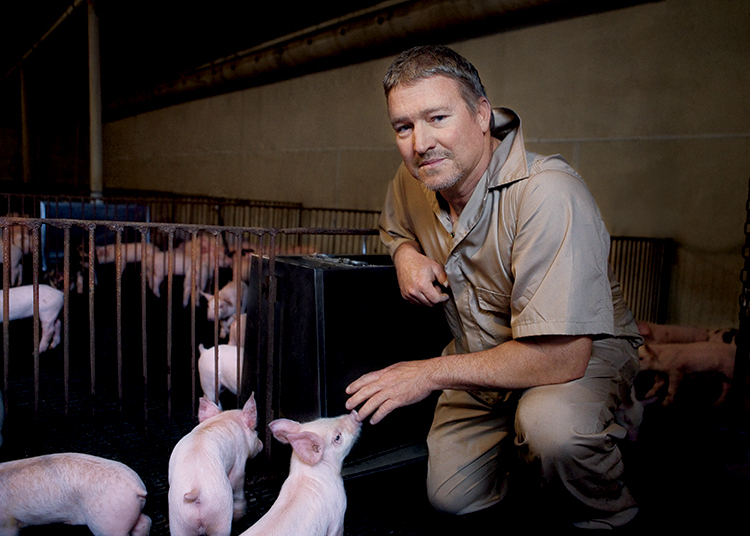 The pigs live in the comfort of climate-controlled environments and receive routine veterinary care. 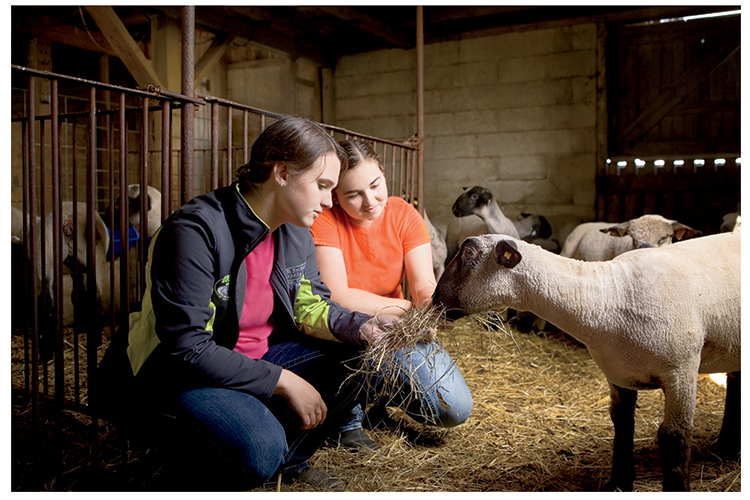 The family works with several nutritionists to determine feed ingredients and rations, and produce the feed themselves. 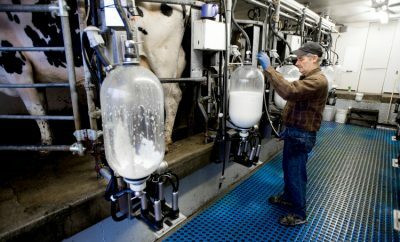 They also follow biosecurity measures to prevent disease. 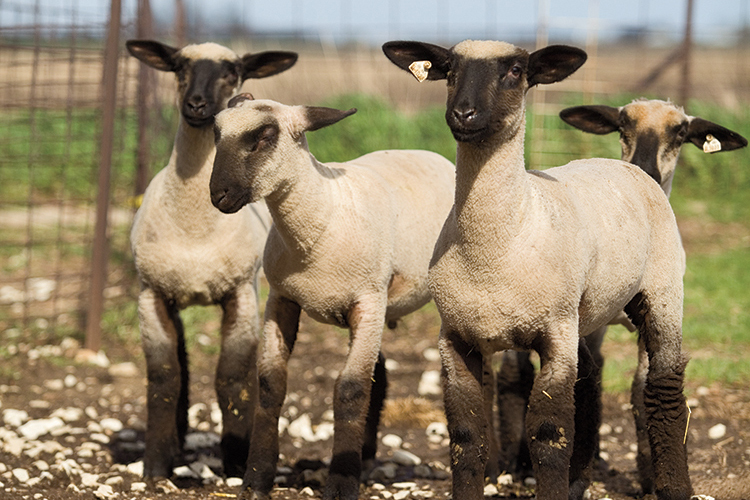 “It’s always to your benefit to treat your animals the best you can to get the best production you can,” Dewey says. In return, the family shares the bounty. The Haags donate food, their farm’s pork and their time to the local food pantry. Within the community, Trisha serves on the school board. Dewey stays active with the local Soil & Water Conservation District. And Mike has served roles with the Illinois Pork Producers Association, including president. 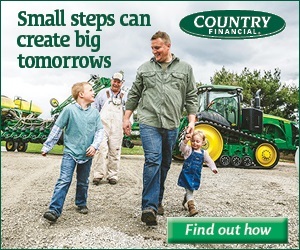 Several family members interact with suburban families and talk about the farm through the Illinois Farm Families program. Enjoyed the article about Haag Farms went to school with Dewey and also his brother Dave who farms and lives in the area. I have retired and I live on the Gulf Coast of Alabama now. I still own a small family farm close to the Haag’s that has been in my family since January 12, 1869 at almost 69 years myself would love to live to see it make the 150 year celebration. 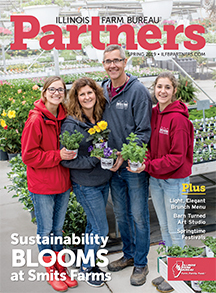 Enjoy reading the articles in Partner magazine.